Back in 2015, I wrote about seven now obsolete technology references in cartoons and comics. Of course, tech development moves on, both in real life and in fiction. Thus, here’s another five examples of cartoons that feature or are associated with obsolete technology. “Action Comics” #421 (February 1973). Art by Nick Cardy. One of the most iconic items associated with the Man of Steel is the telephone booth. The idea is that Clark Kent would duck into one when an emergency rises, in order to change into Superman. The odd thing is, he very rarely did this in the actual comics. 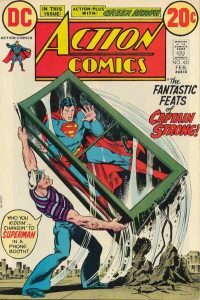 The Superman Homepage, a Superman fan site, ran an article outlining where the connection between Superman and phone booths came from. Basically, it seems to be a remnant of the 1940s radio show, plus several of the Fleischer animated shorts. It’s an association that’s stuck since, despite that 99% of the time, Superman changes identities in the “Daily Planet” storeroom, an empty office, or somewhere else secluded. As for why phone booths? In the 1940s, they were largely made of wood and glass, so it made sense as a semi-secluded spot. The university I went to had such wooden phone booths in the student union. The existence of phone booths have been on a very sharp decline since the 1990s, when cell phones emerged as the preferred mobile communications tool. Nowadays, phone booths are a rare sight; their existence in media is now either as nostalgia or as a “something today’s kids won’t recognize” punchline. See, for example, a 2011 “Pearls Before Swine” comic strip about phone booths. Superman related cartoons and other media occasionally feature phone booths as an in-joke, but otherwise, they’re treated as obsolete technology like everywhere else. A carburetor, as Wikipedia defines it, is a device that mixes air and fuel in the proper ratio for internal combustion engines for, well, combustion. It was a key component of automobiles until the late 1980s and early 1990s, when fuel injection replaced carburetors for nearly all cars. Today, they’re only found in certain specialized vehicles. The typewriter was a longtime staple of any office or writing scene in fiction, including cartoons and comics. To go with Superman again, Clark Kent, Lois Lane, and Jimmy Olsen made regular use of typewriters at their “Daily Planet” jobs in most comics up through the 1980s. The main change during this time was a shift from manual to electric typewriters, when those became popular. A few 1970s comics had Clark complain to himself about his manual typewriter being unable to keep up with his super-speed typing (as it’d jam). 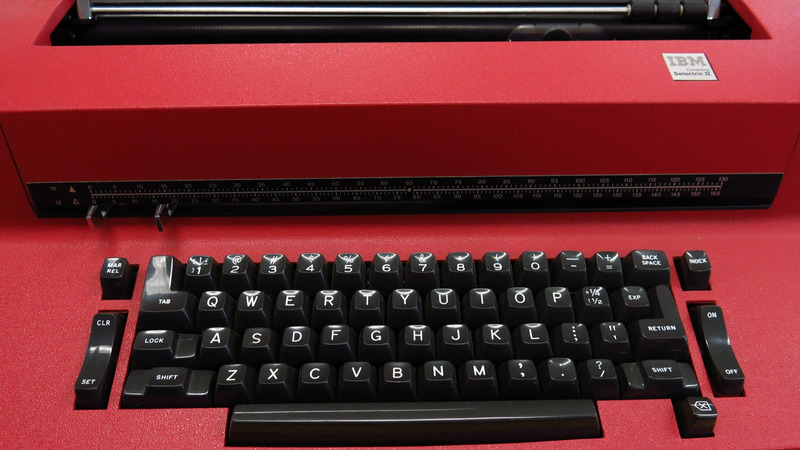 The 1980s, of course, is when typewriter sales went into a decline with the introduction of personal computers. The 80s and 90s saw Lois and Clark permanently shift to using personal computers. These days, the “Daily Planet” reporters, like everyone else, use laptops and smartphones for their duties. From “New Adventures of Superboy” #12 (December 1980). Art by Romeo Tanghal. As I wrote before, black-and-white TVs dominated TV sales in the United States until the early 1970s, when color TV sets first outsold black-and-white ones. Post-60s, black-and-white TVs would appear as secondary TVs in some cartoons. One example is “The Simpsons,” where Moe’s Tavern has a black-and-white TV. There’s also stories set in the past. 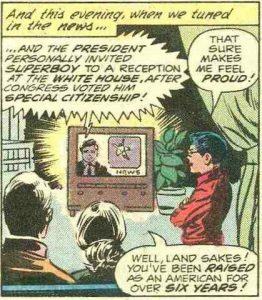 Superboy stories published in the 70s and 80s (which took place in the 50s and 60s respectively, per comics’ floating timeline) show the Kents owning a black-and-white TV. In real life, black-and-white TV sales declined over the 70s and 80s, reduced to a secondary status as bedroom sets, security cameras, etc. By the 90s, black-and-white TVs had pretty much left the market entirely. Another obsolete TV technology aspect is the use of dial tuners on TV sets in cartoons. The switch to digital broadcasting in 2009 finally rendered any lingering dial tuner TVs permanently obsolete. A digital converter box became required to use any older TVs without compatible digital tuners. Oddly, despite being obsolete technology, dial tuner TVs have stuck around in some cartoons made well into the 2000s and 2010s. 2010s CGI-animated cartoons such as “Ready Jet Go” and “The Garfield Show” show the characters using (CRT-style) TVs with dials on them. “The Simpsons” also prominently owned an old-fashioned dial-tuner TV set, well past the point they fell out of favor. A 1996 episode shows the family buying a new TV, replacing the old one with an identical model. However, the show notorious for being reluctant to change did make one prominent change: the debut of season 20 in 2009 saw the family switch to a modern flat-screen TV. 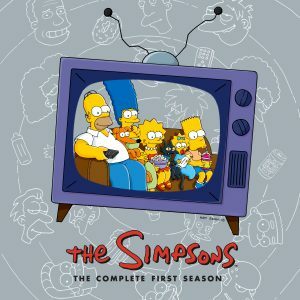 Season 20 is also the first season to air in HD. That wraps up another look at obsolete technology appearances in cartoons. If you have any other examples of the above in comics and animation, feel free to mention them in the comments below.